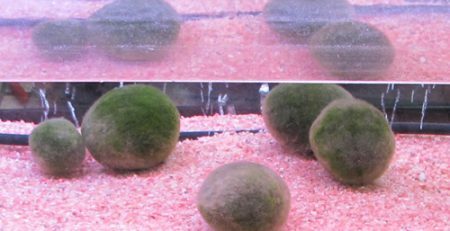 Marimo Moss (Aegagropila linnaei), a ball shaped moss formation mostly found in Japan, Iceland, Scottland and Estonia was ﬁrst popularized in Japan in the 1920’s; where it is considered a national treasure. 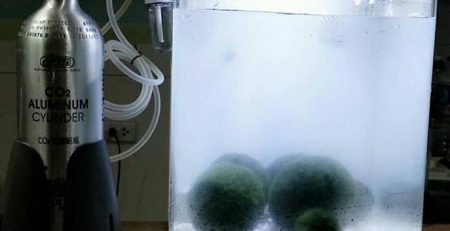 Its popularity, however, caught on quickly around the world with aquarium lovers and now this fantastic spherical algae can be found in homes everywhere. Because of its ability to roll around on lake beds and ﬂoat to the surface of the water in search of sunlight, some people keep them in tanks all on their own, much as one would do with a pet. 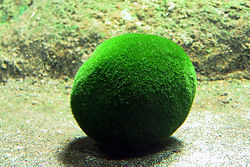 While these cute mossy balls are alive, they are not really animals.Regardless whether you plan on keeping the Marimo Moss in a tank on its own, as a way to enjoy this exotic type of algae, or whether you intend on adding ﬁsh to the tank, you should have in mind the right ﬁlter for your aquarium. 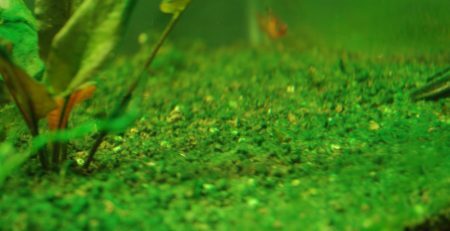 Depending of the dimensions of your tank and whether or not there will be ﬁsh in the tank, there are many options: For larger aquariums with lots of ﬁsh a canister ﬁlter can prove to be the best option, and it’s sure to maintain excellent water quality. 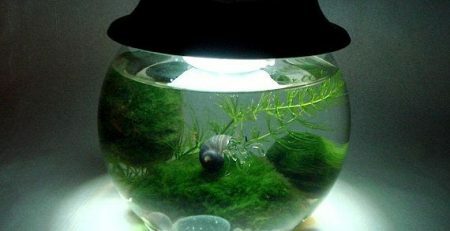 However if you are shopping for a ﬁlter for a smaller tank, or a tank containing small ﬁsh, such as fry, an air driven internal ﬁlter will work best. 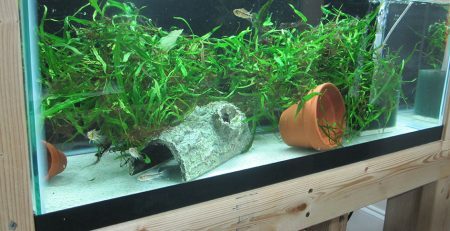 There are also power ﬁlters which are the most commonly used aquarium ﬁlters based on how easy to use they are. 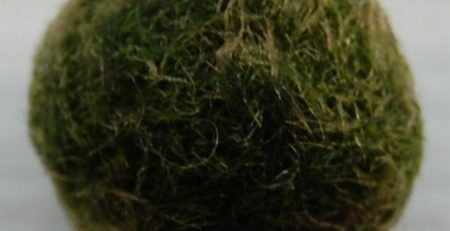 The external power ﬁlter, as the name suggests, sits on the back of your aquarium and are ideal for most aquarium sizes and also for a large variety of ﬁsh and vegetation. Internal water ﬁlters are placed underwater. 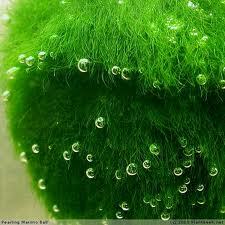 These provide excellent ﬁltration and water movement since they are generally placed at the bottom of the tanks. Then there’s the under-gravel ﬁlter which create conditions which are very favorable for biological ﬁltration, allowing beneﬁcial bacteria to colonize the gravel and efﬁciently break down waste materials. 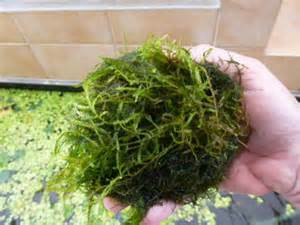 However, rest assured that regardless of the tank or type of ﬁlter you chose, the Marimo Moss will also do its best to help keep the water in your aquarium clear and it’s sure to produce oxygen and remove ammonia in the water making the Marimo Moss a biological ﬁlter of its own. 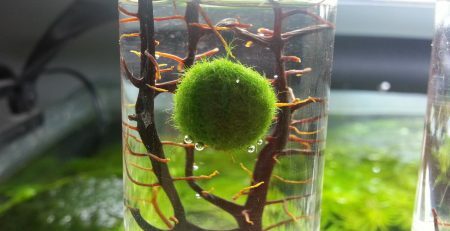 This odd little vegetation not only is a beautiful addition to any aquarium but also a very beneﬁcial one to any and any type of ﬁsh with which it cohabitates.